You all know what polenta is, right? It's OK. I understand. I didn't know about polenta for a long time. But now I do and I'm sharing it with you. Polenta is a coarsely ground corn meal prepared as either a mush, or allowed to set up and then grilled or baked and shaped. I've had polenta "fries" which were thick strips of toasted polenta. I like those. 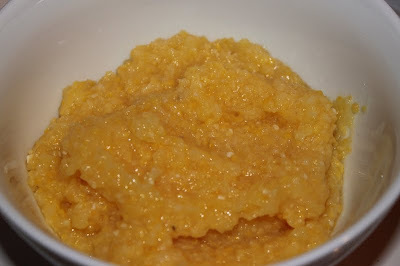 Since I was introduced to polenta by my Italian in-laws, I made the typical mistake many non-Italians do of comparing polenta to grits. I was informed that it was NOT like grits. (Excuse me, but it sure looks like grits, comes from the same plant, and has a suspiciously similar cooking method.) So I just nodded and accepted that weren't going to concede. They all poked fun at me about never making a good Italian. When I made this last week, my husband jokingly said that he'd made me a true Italian. Anyhow, back to the technique. Different famous chefs do different things to make polenta exciting. Some use cream or broth in place of some of the water, some add Parmesan cheese while it's cooking. 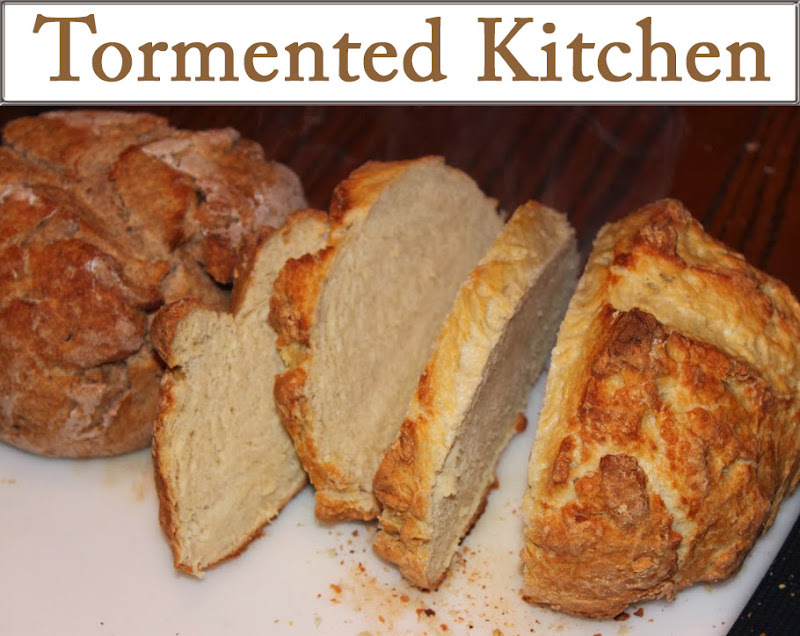 Some shape it into rounds, toast or fry it and then layer it with other foods. That's all fine, but this is polenta for beginners. You want dry polenta, not the prepared mush stuffed in a tube. There are different brands, but know it's not the same as corn meal. Corn meal is too fine. I used Bob's Red Mill Polenta this time. My last bag was Golden Pheasant Polenta. I can usually find polenta on the baking aisle near flour or specialty grains in the grocery store. You can also find it in fun stores like Cost Plus World Market. You may even find it in bulk bins at places like Whole Food or Winco or Raley's. If you aren't sure what you have is the right stuff, read the ingredients. 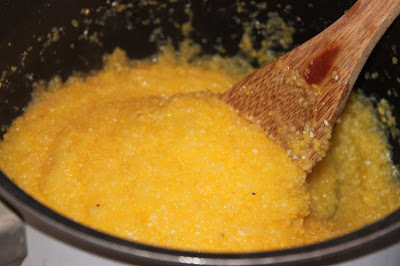 Polenta should be just ground corn, maybe some added vitamins in there too. If gluten content is a concern for you, Bob's Red Mill Polenta is gluten free. 2. Simmer and stir uncovered for 40 minutes. Stir frequently to prevent lumps. If it's too dry and clumpy add a little bit of extra water and stir in to loosen it up. Taste it. The texture should be chewy with no hard corn graininess. If you want it very soft, you can eat it now. 3. Pour polenta onto a platter and let set up about 20 minutes. You will probably want to keep it in a warming drawer or in a slightly warm oven. Cut pieces and plate. Serve with a hearty red sauce. 4. If you want to toast or fry it, cut pieces from the set up polenta. For a little extra flavor, you may want to heat a tiny amount of olive oil in a frying pan. Add your sliced polenta and fry until the edges start to turn crispy. Then serve with tomato sauce.